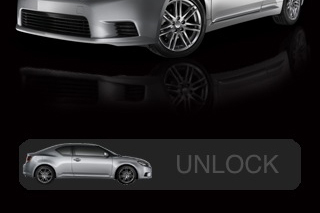 We reported Monday that Toyota was trying out a unique advertising campaign for jailbroken iOS devices on the Cydia store with a Scion-branded theme. At the time, I suggested that Apple (s aapl) wouldn’t be too pleased with the idea, and it looks like I was right. ModMyi reports that Apple asked Toyota (s tm) directly to take down the theme pack. According to the site, Toyota contacted advertising agency Velti, which it had charged with running the campaign, and asked them to take down the theme. The reason given was that Toyota wanted to “maintain their good relationship with Apple,” according to ModMyi’s Velti contact. Attempts to contact both Velti and Apple for official comment so far haven’t been met with a response. It shouldn’t surprise anyone, Toyota included, that Apple wasn’t happy about this arrangement. Jailbreaking is something the company still does its best to counteract, and any attempts to make it look like a legitimate alternative to the approved App Store distribution process are not going to go over well. If Apple didn’t nip this in the bud, it might’ve paved the way for other major advertisers to look at the viability of jailbreak campaigns, which could conceivably cut into to Apple’s own iAds revenue, as well as convince more users that jailbreaking in general isn’t as taboo as the company wants to portray it. I doubt many will be sad to see the theme itself go, since it was basically a poorly designed, garish mess. But this does go to show that Apple has very specific limits when it comes to what it will tolerate in the jailbreak community, and threats to its growing mobile ad business definitely exceed those boundaries. I new Apple was a control freak , but this goes way beyond being a freak. It would be interesting if somebody jail broke their iPhone just to run this Toyota theme, then had their data stolen because they defeated all their security features, then sued Toyota. data stolen? defeated all security features? sounds like you know absolutely nothing about jailbreaking.